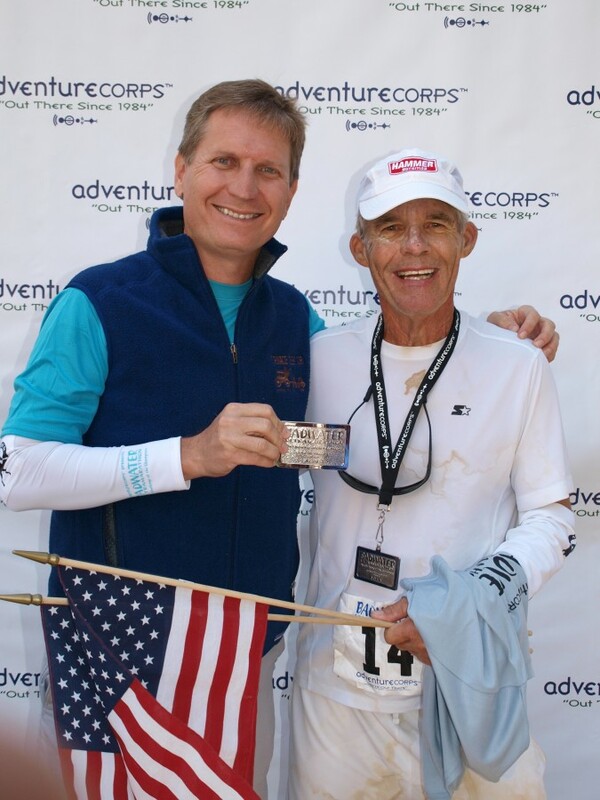 I “completed” the 135-mile Badwater Ultramarathon 15 times and earned 14 buckles. 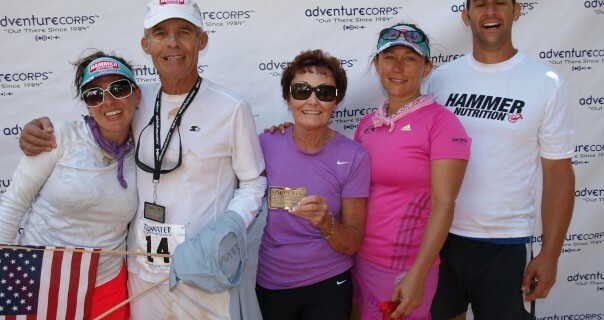 At the 2012 Badwater 135 race, at age 70, I set two personal records: A 33:45 finish (by 12 minutes), and a 23:55 at 100 miles (I had never broken 24 hours on this course) and eclipsed the age group record by more than 20 hours. During those 15 years I tried everything to reach goals. Some things worked and others were complete failures. After 13 years of “experimenting” I finally found the right combinations and it was all worthwhile. We paid strict attention and followed to a “T” the formula listed below, which was the key to peak performances (fewer troubles/problems and pain free) during my last two successful Badwater races. *I wanted to share this valuable information with first time entrants and/or veterans still looking for a few magic ingredients. Liquids: I weighed at the end of my training regimen, before going to Badwater. That was my target weight. I usually drank more water hanging around Badwater and tended to become “over- or super-hydrated” which was reflected at weigh-in. We used a scale during the race and once the “excess” water was sloughed off and the target weight was reached, we kept it within 2 pounds (high or low). It worked. It’s number one on this list for a reason. In the past too little or too much water (it doesn’t take much) caused way too many nasty problems, which led to diminishing returns and debilitating performance. Thirty ounces or less an hour is more than sufficient for the system to work efficiently. (We charted all food and water intake). Electrolytes: For ten years I used Hammer’s Endurolytes (2 to 8 capsules an hour depending on the heat) and had only a few cramping problems (abated by downing a few more) and zero side effects. They work. Nutrition: One bottle of ice cold Ensure (240 calories) worked better than solid foods, but 240 calories an hour of Hammer’s Perpetuem by far worked the best. More than 240 calories an hour (of anything) will tax the system and performance will suffer. Clothing: White short sleeved wicking shirt, compression shorts and Moeben compression arm and leg sleeves and head scarf (soaked in cold water) was miles ahead of anything else and by far the most comfortable and effective apparel. Power walked: All the bigger hills, especially Towne Pass, Father Crowley, and Mt. Whitney. Paid rich dividends. Stay wet: My crew used an assortment of sprayers and soakers filled with ice water during the heat of the day (on me and themselves), which helped keep core temps near normal. I carried a small 8-10 ounce sprayer filled with ice cold water the entire race and constantly spritzed my head and face and any hot spots. My pacer carried a larger sprayer and wet my clothing, arms, legs and head during the heat of the day. Don’t dry out. Shorten the course: Between Furnace Creek and Lone Pine there are ½ mile markers on the right side of the road (example: mile 110.5, to Lone Pine, across from the Chevron Station at Furnace Creek) and mile markers on the left side of the road (example: mile 110 a half mile past Chevron Station heading north). They were my landmarks. An extremely huge benefit was knowing exactly where I was at all times, which helped maintain focus on pre-race plans, race pace and shortened the Badwater course to mentally pleasing ½ mile segments. It worked. Could easily be number one on this list. Blisters: Lightweight white socks filled with Gold Bond Foot Powder prevented blisters, even when my feet were (soaking) wet. I never tapped my feet. Before the powder routine I simply cut the blisters (some were big and ugly) and kept going. A very minor inconvenience. They all heal eventually. Keep moving: I took a much needed potty break and had a quick leg massage at Father Crowley’s Viewpoint (mile-80) and a few 5-minute or less breaks on the “uncomfortable” stoop of the van. That’s it. I stayed out of the “too” comfortable check-in stations, chairs, and the van. Besides, rest, cold beer and pizza awaited at Whitney Portal. Course knowledge: I had the advantage of knowing all the nuances of the Badwater 135 course, but still spent many hours virtually running and studying the entire route on Google Earth (in street view). I even marked (pinpointed) each mile. It’s a convenient tool and productive mental exercise easily accomplished in the comforts of home. Stay positive, focused and finish: Grumbling and making excuses (remember who signed the entry form) is another self-defeating slippery slope. When the wheels start to come off (and they will; possibly many times) stand tall. Remember there are other runners/walkers/shufflers on the Badwater course that feel just as bad or worse but will fight off all the miserable suffering and manage to finish. 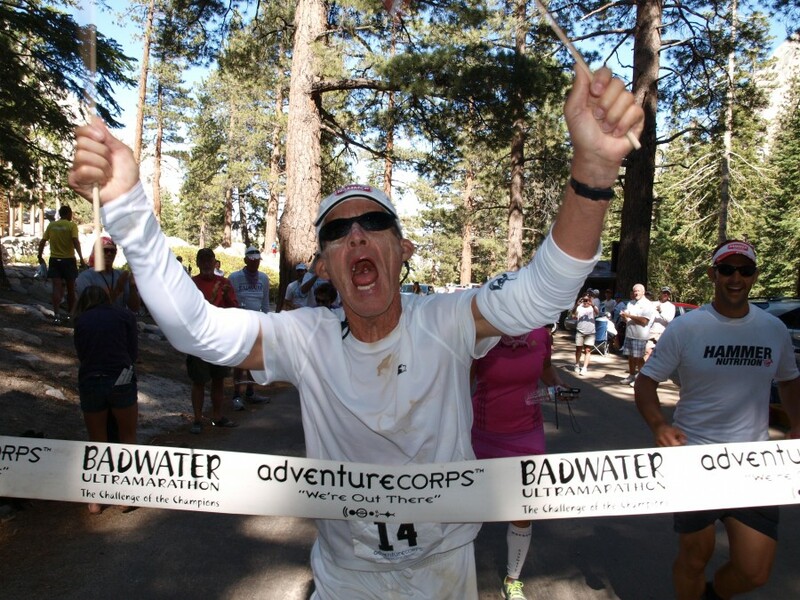 Besides not one crew person has ever volunteered their valuable time and energy at Badwater to watch a runner quit. The trek from Badwater across the Death Valley Basin and over several mountain ranges to the finish line on the flanks of Mt. Whitney is incredibly difficult. It will test you emotionally, physically, mentally and spiritually. Yet, it’s a powerful rewarding experience that’s guaranteed to influence and enrich your life forever. Art Webb at the 2012 finish line, after setting a PR at age 70 and new age group course record. Loved to read about this ,I am an ultra runner but want to do the bad water sometime in my life ,amazing ,so far done only 75 kms max in a 3 year running Phase. Respect.